There was a lot of hype around Dubrovnik, so my expectations were high. That usually means I get disappointed. After spending two days on gorgeous Mljet Island, I reluctantly took the ferry to what I thought might be just another old city, knowing that it would be hot and full of tourists. Mljet is predominantly national park, heavily wooded with tiny little seaside villages and great for getting away from the crowds. 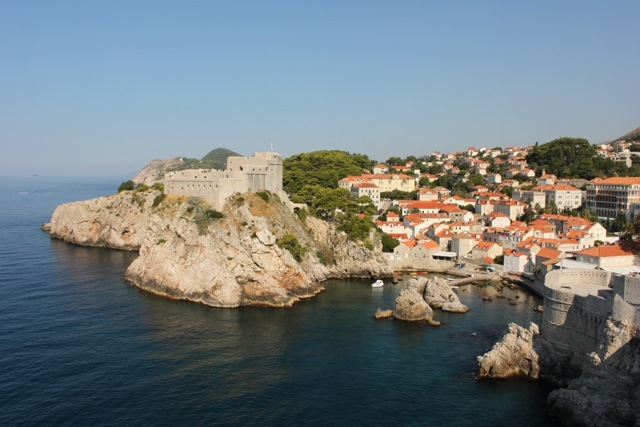 But Dubrovnik is a place that captivated me from the second I lay eyes on the Old Town. It is impossible not to succumb to its irresistible charm, its fortressed city walls, its marble streets, its atmospheric evening temperatures, the constant boat activity and most of all, a view from my room and balcony that I could stare at 24/7. 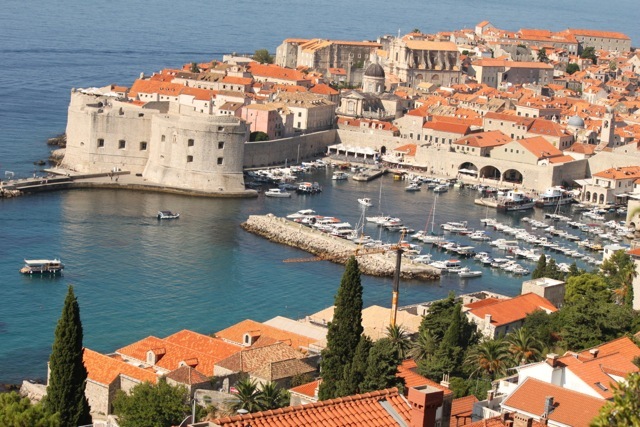 The Adriatic Sea is spectacular and when combined with walls built between the 13th and 16th centuries perched on its edge, it is unforgettable. Despite the several hundred stairs down to the beach and back to my room, it is worth every thigh-burning step to swim in the irresistibly clear water. It’s taken some time and practice on European beaches, but I have slowly adapted to having little or no personal space. The mornings are OK, but I discovered that afternoons take ‘lack of personal space’ to a whole new level. I’m not sure what the highlight of the beach was this afternoon. It could have been the very overweight lady, less than a metre in front of me, getting changed into a swimming costume that left nothing to the imagination. It may have been the hairy man in his baggy white see-through Speedo bathers, or perhaps getting sand kicked on me ten times because there is no room for anyone to walk past. I actually think it was when I rolled over on to my stomach and realised I could have chewed on the toes of the person in front of me. Yes, that close. So yes Dubrovnik, although August has you at your busiest and hottest, you are so worthy of the hype and did not disappoint me.